Dudhai’s villagers may be the first in India to have got financial benefits under the Biological Diversity Act, 2002.They have also used its provisions to end rampant illegal mining on the Swarna riverbed which had been destroying agricultural field and forests. Fighting the mining mafia, engaged in large-scale extraction of stones and sand for construction works, seemed unthinkable until villagers and forest officers in Dudhai, near Dehradun, decided to use the biodiversity Act. The Act makes it clear that bio-resources cannot be extracted without the permission of BMC, which has proprietary rights. “It is punishable with imprisonment (upto three years). We called the miners to the BMC meeting where members of the gram panchayat were also present.Gradually, they understood that the threat was serious,” says Isam Singh Pal, honorary BMC member and a forester. Eventually, they didn’t have to arrest anyone. 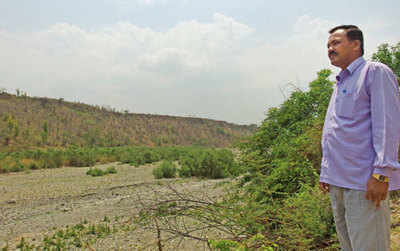 The night patrols bore fruit and after several months, illegal mining in the stretch of the Swarna river flowing through Dudhai stopped completely. Soil erosion has also ceased. While protecting forests and biodiversity imposes some limits on the villagers, the Act also brings financial gains. Dudhai is possibly the first BMC in the country to start claiming benefits under the Act’s access and benefit-sharing (ABS) provisions, which allows both the provider of the resources and the users to share the profits. The BMC has also started collecting benefits -about 3% of sales -from an industrial ist who grows lemongrass on large tracts of land he owns in the village. The Uttarakhand Biodiversity Board has issued notices to 600 industries, and collected a little over Rs 1 crore so far. Of this, it has shared Rs 1 lakh with the Dudhai BMC which has started developing a medicinal garden. Board officials say the rest will be shared with other BMCs in the state. If they follow the Dudhai model, more money will flow in the coming years.